Based on a simple axiomatization of concurrent behaviour we define two ways of observing parallel computations and show that in each case they are dual to conflict and causality, respectively. We give a logical characterization to those dualities and show that natural fixpoint modal logics can be extracted from such a characterization. We also study the equivalences induced by such logics and prove that they are decidable and can be related with well-known bisimulations for interleaving and noninterleaving concurrency. Moreover, by giving a game-theoretical characterization to the equivalence induced by the main logic, which is called Separation Fixpoint Logic (SFL), we show that the equivalence SFL induces is strictly stronger than a history-preserving bisimulation (hpb) and strictly weaker than a hereditary history-preserving bisimulation (hhpb). 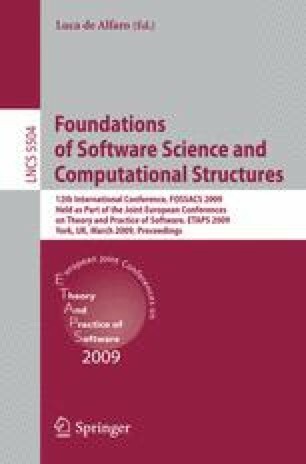 Our study considers branching-time models of concurrency based on transition systems and petri net structures.